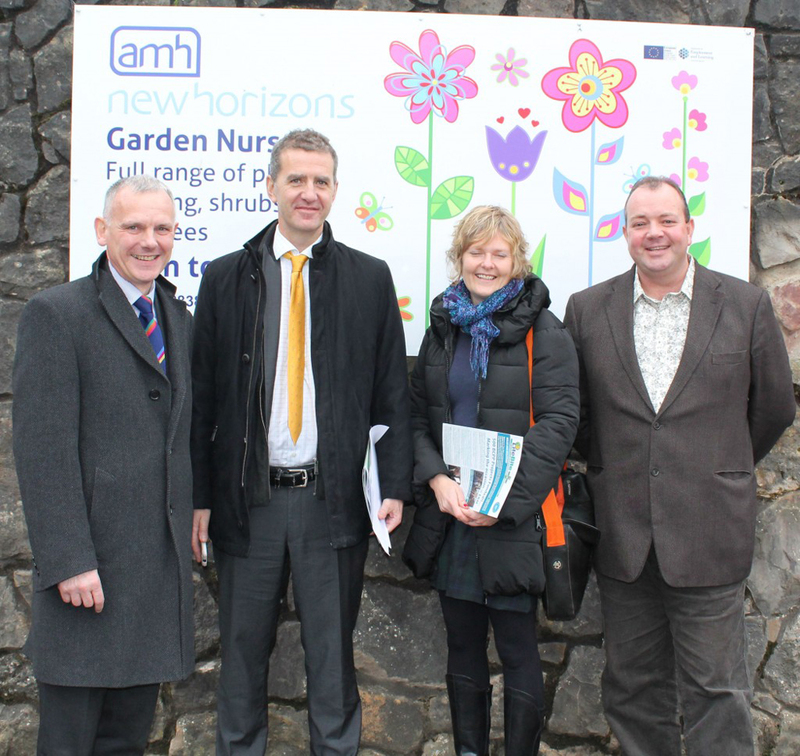 John Chave, Secretary General of the Pharmaceutical Group of the European Union (PGEU) paid a visit to AMH Craigavon & Banbridge to hear more about our innovative programme It’s My Life. It’s My Life is a programme delivered in partnership with Anderson’s Pharmacy Portadown, and funded by the Community Development Health Network through the Building Community-Pharmacy Partnership. The programme delivers a range of activities to assist adults with mental health needs in their recovery. It promotes positive mental and physical health, and equips people with the skills to take ownership of their own health needs whilst being supported by their Community Pharmacist, AMH staff and others. Pictured from l-r are: Raymond Anderson (Anderson’s Pharmacy Portadown), John Chave Secretary General of the PGEU, Sharon Bleakley BCPP Manager, Colin Loughran AMH Service Manager.